At Óptica Llamusi we recommend at least a yearly eye test. Our optometrists have the latest technological advances available for measuring eyesight. In our Audiology department, you will be cared for by the best qualified professionals. The hearing test booth has the latest technology for the sole purpose of improving your hearing. Óptica Llamusi has an exclusive Contact Lens department. We offer our clients professional advice about their contact lenses, a specialized service, and a contact lens area, together with the teaching of the use and care of the lenses. Óptica Llamusi gives you the advice and support needed to treat the vision of your child. 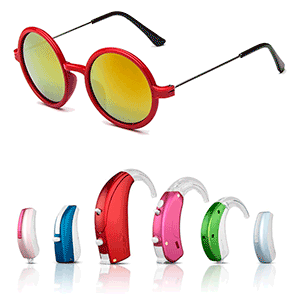 We have products that allow children to have the highest possible quality of vision and audio without any unnecessary stress for them. We offer models with greater strength, greater discretion and that are easy to handle. At Óptica Llamusi we want you to feel completely satisfied with your experience. With more than 40 years experience, great professionals and the latest technology available, along with the brands that we offer and the quality of our products we will deliver great satisfaction for your visual needs. 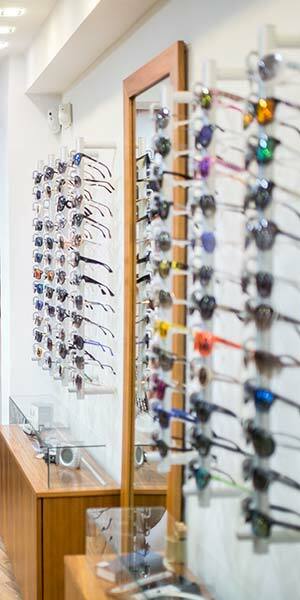 We have non-obligatory insurance available to ensure the safe use of your new glasses or lenses. We advise and give all necessary assistance during the adaptation period of your new glasses or contact lenses aids. We offer the manufacturer's warranty for a period of 2 years according to the conditions of sale, which, under applicable law, may lead to free repair, replacement or price reduction. In Óptica Llamusi we look after your health. With more than 40 years experience and our expert professional training, our customers enjoy the peace of mind that they are in good hands. We offer the necessary assistance to ensure your satisfaction, not only with your visual and auditory needs but aesthetically too. We offer you the latest technology within modern facilities, together with the experience of over 40 years. Our commitment is to aid people in difficulty in order that they are able to see and hear normally. We never forget the importance of aesthetics and those clients that like to keep up with trends and the latest technology.